Vaikunth Chaturdashi is observed on the 14th day of the waxing phase of the moon (Shukla Paksha) in Kartik month. The day is dedicated to the relationship of Lord Vishnu and Lord Shiva. It is believed that Lord Shiva gifted the Sudarshana Chakra to Lord Vishnu on this day. Vaikuntha Chaturdashi 2019 date is November 11. The day is of great significance in many temples in North and Western parts of India. How to do Vaikunth Chaturdashi Puja? The puja should be performed facing east. 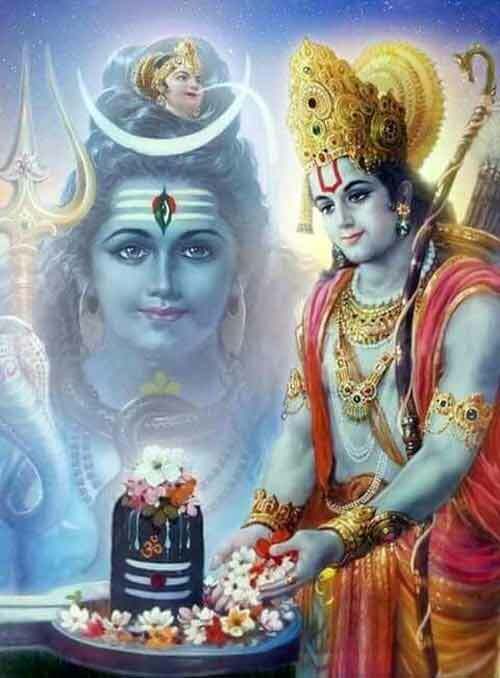 Offer prayers to Shiva and Vishnu. Chant simple mantras dedicated to the deities. Mix cow ghee and kesar and lit the lamp using it. Agarbatti used should be of sandalwood paste. Kesar should be offered to the deity. The flower offered should be lotus. Prasad or bhog should be prepared using corn. Corn flour kheer is mainly offered. Abhishek should be performed using water, fragrant water (attar), sugar and curd. The ideal time to perform the puja is Nishita Kaal – midnight when chaturdashi tithi is present. Legend has it that Lord Vishnu one day decided to visit Lord Shiva who was residing at Kashi. Lord Vishnu collected 1000 lotus flowers from Mansarovar to offer it on the Shivling at Kashi by reciting the 1000 names of Shiva. After collecting the flowers from Manasarovar in the Himalayas, Lord Vishnu reached Kashi and was warmly welcomed by Lord Shiva. Lord Vishnu then began to offer the flowers one by one to the Shivling at Kashi. He chanted a name of Lord Shiva and offered one lotus flower. Lord Vishnu was fully absorbed in the process and Lord Shiva decided to test Him and removed one lotus flower that Lord Vishnu had brought and hid it. Lord Vishnu chanted the 1000th name of Shiva and when he looked for the 1000th lotus flower it was missing. Immediately Lord Vishnu realized that He is known to his devotees as Kamalakannan – the lotus eyed. So he offered one of his eyes instead of the last Lotus. Shiva was moved by this devotion of Lord Vishnu and immediately hugged Vishnu and thus restoring his eye. Lord Shiva then presented the Sudarshana Chakra to Vishnu to fight evil and accepted him as the supreme commander of the three worlds and one who sustains all living and nonliving beings. Lord Vishnu and Shiva are worshipped on the day and people observe Vaikuntha Chaturdashi Upvas. Some people opt for a fast from sunrise to sunset. It is widely believed that Bhagavan Vishnu worshipped Shiva at Kashi on the Vaikunth Chaturdashi day. There is a belief that the Shivling at Kashi appeared before Vishnu and He performed puja to ti. This is the reason why day is also observed as Kashi Vishwanath Sthapana Diwas. Vaikuntha Chaturdashi festival at Kashi Vishwanath Temple in Varanasi is unique as Bhagvan Vishnu is allotted a special place in the temple on the day. The belief is that offering prayers on Vaikuntha Chaturdashi will help in attaining Vaikunta – symbolically Moksha. On the day, Shiva and Vishnu are worshipped together. Bel patra or bilva leaves are offered to Vishnu and Tulsi is offered to Shiva on the day. Devotees offer Gangajal (water from Ganga River), akshat, chandan, flowers, bilva leaves, Tulsi to both Vishnu and Shiva on the day in the temple. The most important offering on the day is earthen lamps and wicks made of cotton. Please note that the day is also observed as Kashi Vishwanath Pratishta Diwas. Special rituals and pujas are held in various temples in North India. Thousands of devotees take a holy dip at midnight at Manikarnika Ghat in Varanasi. All important Shiva temples in North and Western parts of India perform special rituals and puja on the day.